A typical example of this; is the Impact Driver. The quality of the product and battery technology these days means that even a 10.8 Volt Impact Driver can drive a 4” screw directly into wood without the need to make a pilot hole beforehand. These are not expensive tools and would be top of our ‘must have’ list for everyone’s toolkit. DeWalt and Makita produce some fantastic Impact Drivers, choose a big name and you won’t be disappointed with your purchase, that’s for sure. A Multi-Tool would also be high on our shopping list, if you use various power tools and are looking for an all-encompassing solution, take a look at our range here, a great addition for any trade. To give you an idea of what’s available, we stock over 30,000 different tools from over 300 tool manufacturers. Our product range is far greater than what you would ordinarily find at a high street store or on a retail park. Why limit yourself to a restricted choice, when you don’t have to? Why waste time and money travelling to a shop, when so many of our products are available to buy now with FREE Next Day Delivery? It really does pay to have a look around here, with a host of brands offering similar products, you will have complete control over your spending and find the right tool for your budget. 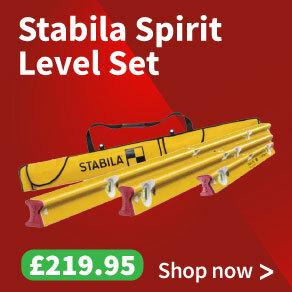 If it is for occasional DIY use or heavy professional use, we have it covered! Buy tools at the right price. Increase your profit. So, you have done your research, selected the right tool for the job, time to make a purchase. At My Tool Shed you will find all tools are available to you at trade prices. We aim to offer every single product as low as possible and for many, we are the cheapest online. 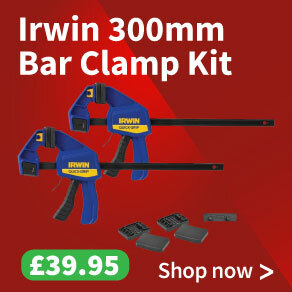 With us, you can access over 30,000 tools and accessories at the click of a button and feel confident we are always delivering our most competitive price. See our reviews from people who have done their homework, ‘the cheapest price I could find online’ is a common theme. Having chosen My Tool Shed for your purchase, you will soon gain the confidence to buy from us again, without the need to compare prices on every occasion. We all know how time-consuming this is and it can be very frustrating when companies are not transparent about their delivery charges. Big savings are to be had here on many tools, for Power Tools you could save £100’s off well-known high street names. Convenience often comes at a price, but we are here for the tradesman, to ensure you don’t overpay for a product and keep hold of your profits. My Tool Shed is the perfect hub to do just that. We provide the online tools necessary to make your purchase as hassle-free as possible. Our site is fully optimised for mobiles, tablets and desktops. It is hosted on powerful servers ensuring you do not have to wait for pages to load, as we all know in this business; time is money. Your data is protected with the highest level of security. You can even store payment methods, just like Amazon and click and go! You’ll be kept informed every step of the way and provided with a VAT invoice. With My Tool Shed, you’ll buy smart and work smart. Don’t just take our word for it, buy with peace of mind, check out our latest reviews on Trustpilot, Feefo and Google.